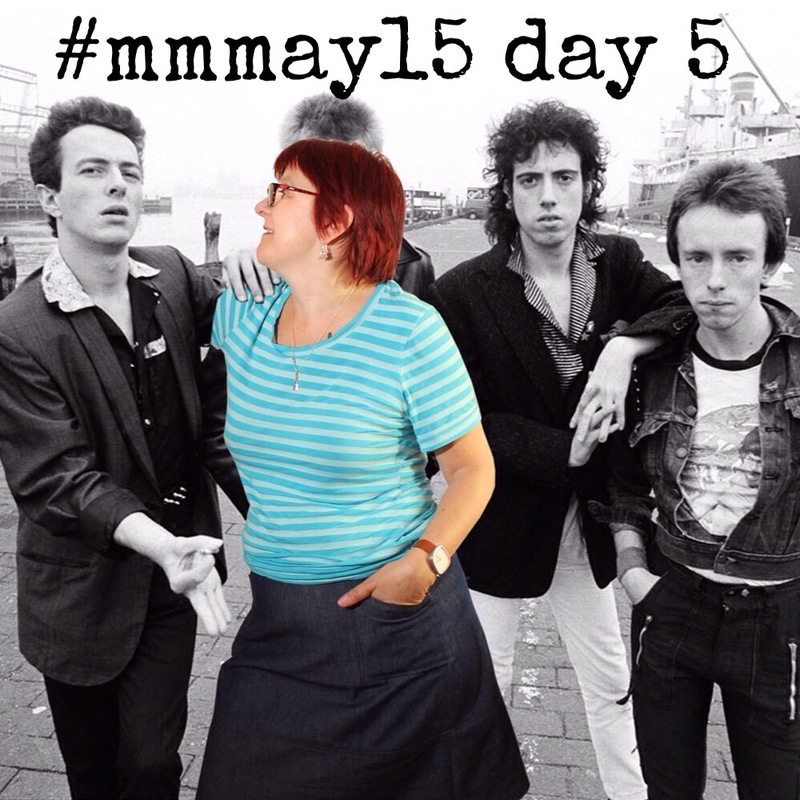 Me made May, my week. 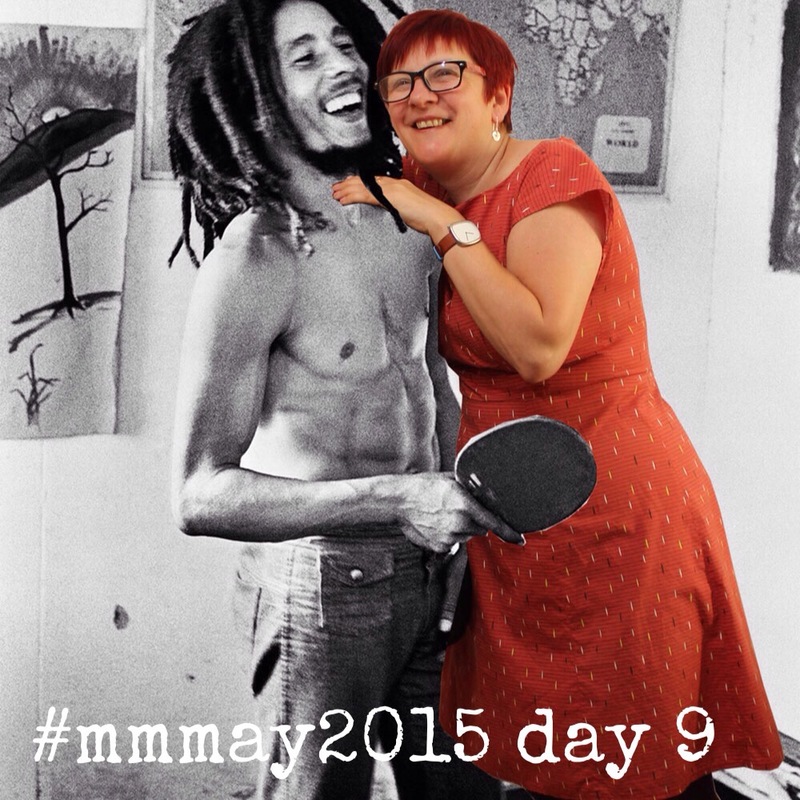 What a hectic week I have had, I love Me made May, it’s such a thrilling & exciting month! 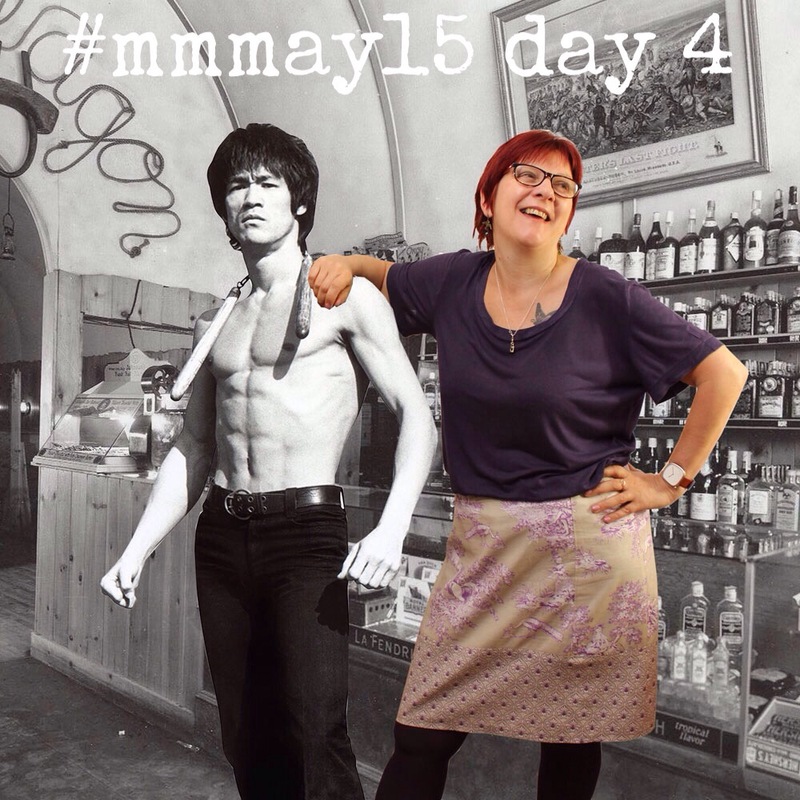 To kick it all off I met up with Bruce Lee for a G&T wearing a panel skirt from the Sew Serendipity book made up in Gutermann French Cottage fabric and Sewaholic Renfrew top in Purple Jersey. Well that was Monday, so on Tuesday I met up with my mates from The Clash and we really rocked the Kasbah! I was wearing another Sew Serendipity skirt, this time in Denim with another Sewaholic Renfrew in stripey Jersey. This skirt has Surfing Kitty secret pockets! 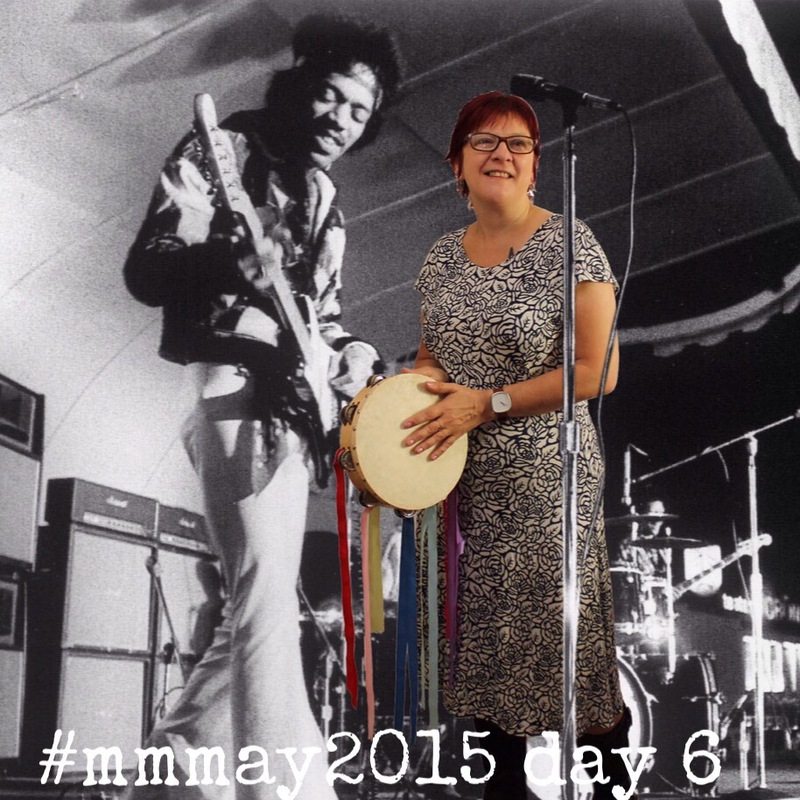 On Wednesday I had a Jammin’ session with Jimi! Wearing my Sewaholic Davies dress in Rose Garden Jersey. 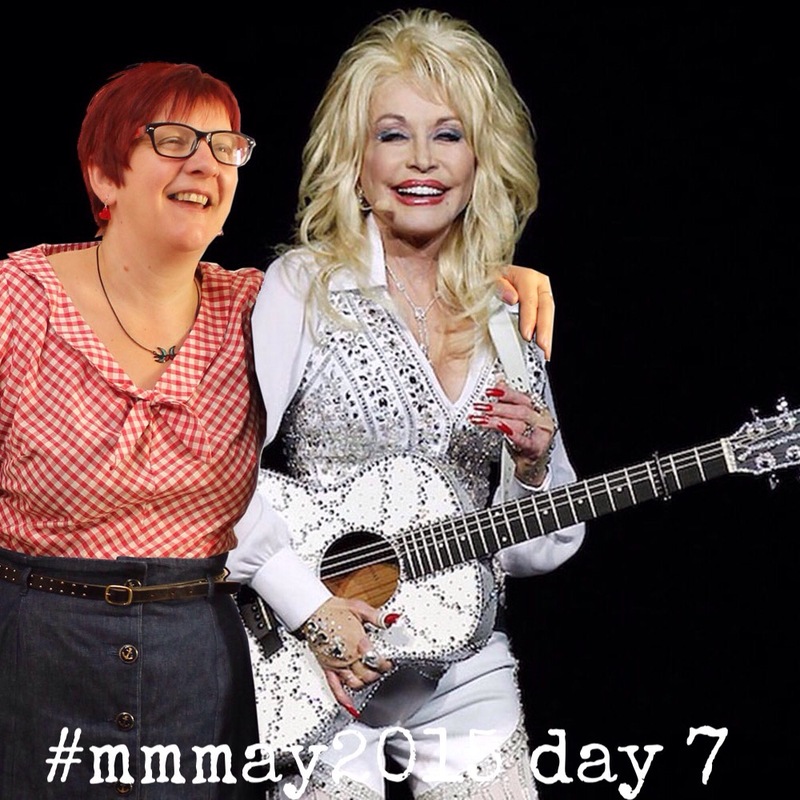 I was really getting into the groove so I met up with Tammy for a bit of country style dressing! 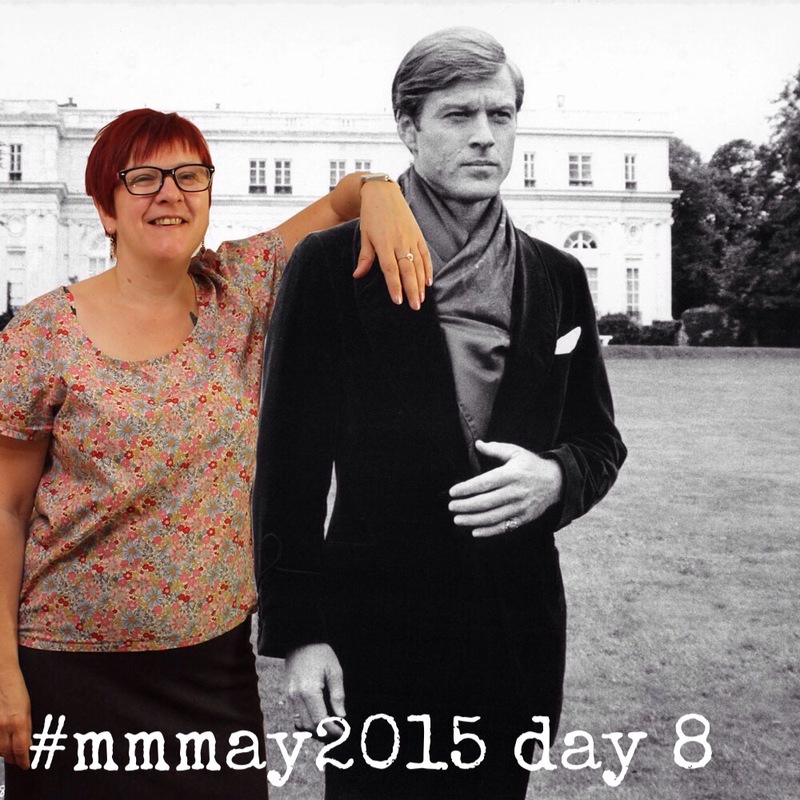 By Friday I wanted nothing better than to chill out with Mr Gatsby AKA Robert Redford! Wearing my Grainline Scout Tee in some gorgeous Regent Street Lawn and a Colette Moneta skirt in Grey Jersey. By Saturday I was ready for another game of Ping pong, this time with my mate Bob, I don’t think I am helping his game much! It’s about time I wore an Anna! It is my favourite dress pattern, this one is made using some of the gorgeous Hemmingway fabric. So sad to hear that By Hand London are no longer going to be making paper patterns, I had better make several copies of this one! Today I am wearing another Anna as I teach Bjorn how to play the crowd at the end of his tennis matches. 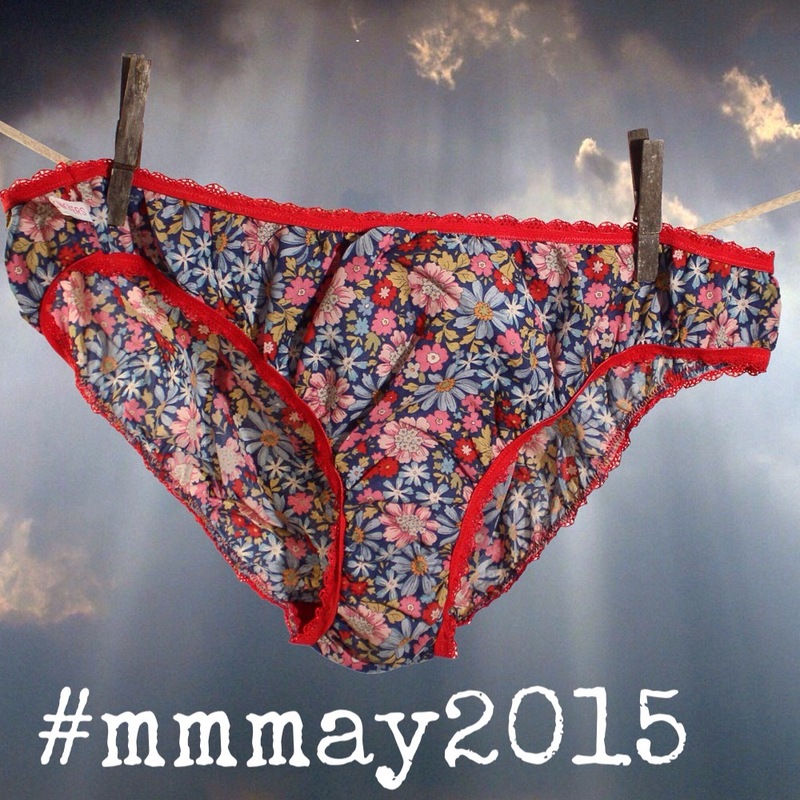 And it wouldn’t be Me made May if I didn’t show you my knickers! you will just have to believe me when I say that I am wearing Me Made knickers every day because I am not about to start taking photos of me in them! 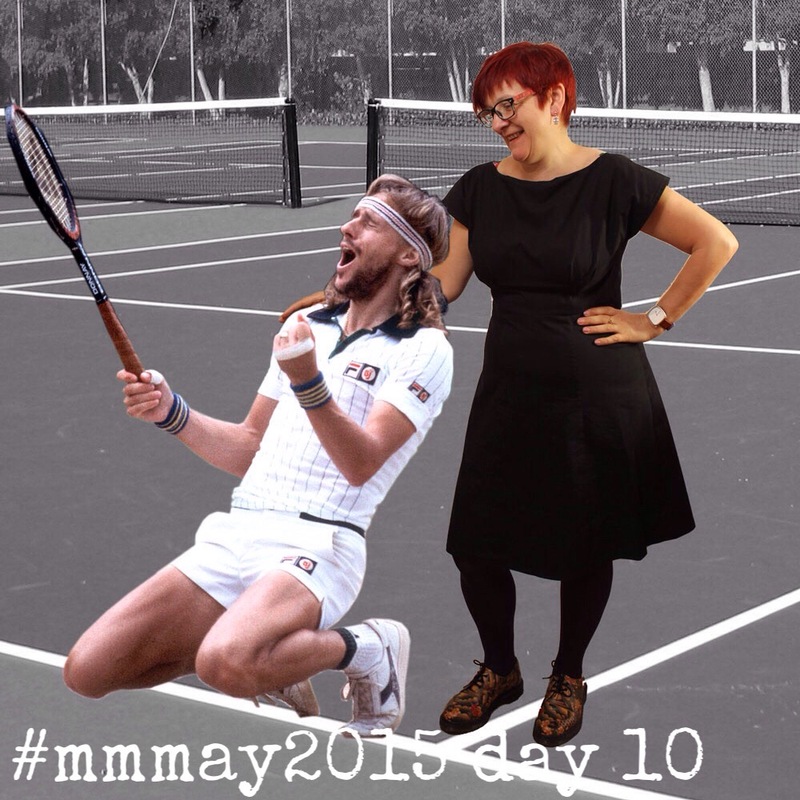 This entry was posted in Me Made May 2015, Uncategorized and tagged memademay, memademay2015, mmmay2015 by Trixie Lixie. Bookmark the permalink. You truly have such famous friends. 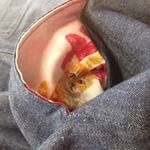 😉 The hidden kitty in the pocket is really fun.